← The importance of being positive – AND in acknowledging the negative. I’ve never been a huge drinker. When I do drink, my friends and husband find it comical that after just one glass of wine or one hard cider, I already have the boozy pink glow and the sillies. One time, my best friend and I finished off two bottles of Gewurztraminer between us and the night ended with me dancing in a pair of dutch-clogs on the patio in my bathing suit. Ah, memories. I always thought that alcohol for me was one of those “Eh” type pleasures in life — I enjoyed it, but not often, and have been seriously “drunk” only about 10 times in my life. Don’t get me wrong; at Christmas time, I love nothing more than an icy glass of Bailey’s Irish Cream, with a drizzle of chocolate syrup on top. I also love a fine glass of really full-bodied red wine, the kind where the tannins drench your tongue in all those fabulously dark, fragrant whiffs. I’m not a regular beer gal, much to my father and husband’s dismay. (Fun fact: did you know at our wedding, my dad actually gave my husband a dowry? Not kidding – my dad brewed my husband a custom beer called “My Daughter’s Dowry”) However, in the past few years I’ve grown to love hard cider, especially Angry Orchard. It’s refreshing and light but still packs a buzz-bangin’ punch. I also got into a bad habit of a weekly lambic, a sweet fruit beer that’s like candy that makes you drunk. It’s AWESOME. Dinners out with friends are super hard, when the alcohol is flowing and the conversation is going and I’m in the corner with my glass of water. A few nights ago my husband and I cooked dinner at home and we ate our grilled chicken and vegetables on the patio, savoring the dusky glow of Los Angeles. I swigged a sip of his red wine and was overwhelmed at how rich and sweet it tasted, how the grapes filled my mouth with notes and aromas like a sherbet sunset in Napa valley. 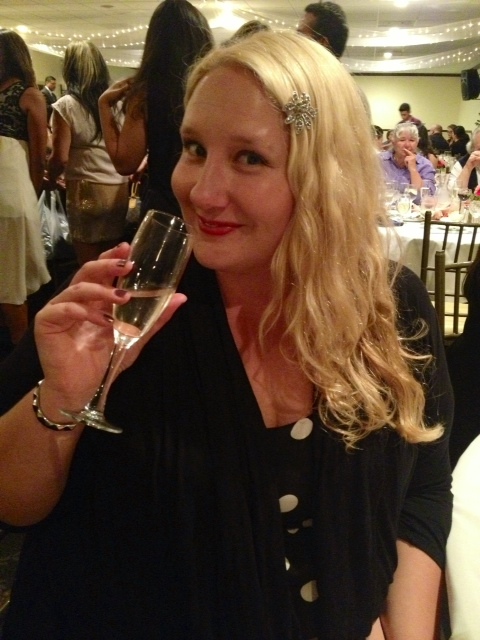 I was going to try to be 100% clean n’ sober for the duration of my weight loss activity (which is like, omg, forever), but I decided that special occasions are worth the splurge, so tonight at Monique’s beautiful wedding, I participated in the champagne toast and enjoyed every sweet sip. Will my weight loss stall? Probably, but what else is new? Plus, if nothing is happening, nothing can stall anyways, right? Hahaha. I shouldn’t say nothing is happening because it’s very possible I’ve lost weight, I just haven’t had the chutzpah to get on the scale in the last two weeks. Scale PTSD, much? What’s your attitude towards booze? Something you don’t even think ab0ut? Do you refrain? Do you overdo it? Is it average? What’s your fav drink? For the record, a peche Lindeman’s Lambic is probably my favorite booze on earth. Crap. Now I want one….instead, amuse me with your drink of choice! Cheers, folks. It’s 5:00 somewhere. This entry was posted in Food and tagged alcohol, alcohol and weight loss, alcoholic, angry orchard cider, baileys irish cream, bathtub, booze, booze and relaxing, buzzed, drinking, lindemans lambic, moscato, no alcohol on medication, peche lambic, weight loss alcohol. I’m not a huge drinker. I have several bottles of wine from like, Christmas that I haven’t touched yet. I enjoy a good beer or mixed drink, but drinking is definitely a treat for me and not the norm. My parents don’t drink and I never grew up with alcohol around, so it’s just not something I need to have a good time. I drink more for taste than alcohol, and I am fine with that. Well, you know my Matt (’nuff said.) I think beer will remain my favorite (different kinds depending on the mood.) And this may sound crazy, but the part I hate most about not drinking with a group is the assumption that you will ALWAYS be DD. No thanks! Just because I’m avoiding alcohol for personal reasons does not mean I want to regularly ferry around a bunch of drunk people—I’ve been taken advantage of so many times by this. I’m happy to DD sometimes, but someone else gets to join me in a sobriety once in awhile as well. Not drinking does not automatically turn me into your babysitter. ALCOHOL! *THAT’S* what this thesis is missing…. Alcohol is one of those things that it depends on who you ask, is if it’s acceptable to regularly partake. Literally, per my textbooks, “one glass of wine per night is not only okay, but beneficial (one glass for women, two for men).” Obviously this is talking about the typical individual with no other health concerns to factor in. But an interesting fact nonetheless! That’s suppose to say, COSMOS! hahaha OOPS! You and me both, lady!!! You don’t realize how much you’ll miss it until you “can’t” have it. A bit here and there won’t kill you luckily. More important would be figuring out your liver! I didn’t think about that connection- you don’t want to drink if your liver isn’t functioning properly. Oh the things we sacrifice for our health! Sounds like it’s time to switch to flavored or fizzy waters! Flavored water has saved my taste buds a time or two. I have never had an alcoholic beverage … I am SUPER picky when it comes to food, and actually even more so when it comes to drinks! I just don’t care for the smell of beer at all, and while wine and champagne appeal in a romantic way, I just don’t think I would like them (I don’t even like apple cider or any fruit juice). As I’ve now begun counting calories and watching so many friends struggle with both the calories and the lack of restraint that can come with drinking, I guess I count myself lucky that it is one thing I don’t struggle with… but my finicky taste buds also keep me from smoothies, green drinks, tea & protein shakes. I’ve never been a big drinker, don’t like wine at all. I do however love a nice ice cold pint of cider – especially English cider. I like a drink here and there. It is probably part of the reason I can’t lose weight. *sigh* even when accounting for it and moderate it I still lose nothing. I was off beer for a long time as it isn’t GF or paleo friendly. I’m not a white wine fan but I love prosecco which is low(er) in calories. I love red wine but in the last several months it has, let’s say, a *ahem* softening effect on my factory. Don’t drink much hard alcohol or cocktails anymore. So… I went back to beer, which I love 🙂 but it has to be a good beer, not any old Heineken or Amstel . Now that it’s warm I’m enjoying white beer, ice cold… But not super friendly for the diet. I will come to a point where I just go off it to see what happens. 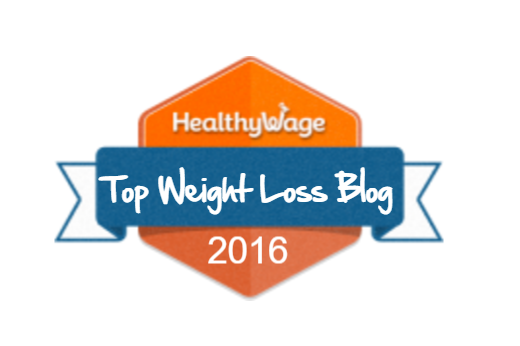 My life is a weight loss stall… Will it help? I honestly don’t know ! Yup, I love my booze. Friday night tradition in our house was scratch tickets and a case of Angry Orchard that was usually gone by Monday. I’m also renowned for my love of whiskey. At our wedding, we dispensed with a closing prayer and toasted with 25 year old Jameson instead. I’ve limited my alcohol intake as I try to get healthier. I feel like a seasoned alcoholic as I notice how much I miss my wine, cider and whiskey. I’m glad I’m not the only one! I totally giggled to myself when I read the word “hedgemony” – even though I only did a semester of comm grad school. Le sigh. I think I have a similar relationship to booze. I like having a glass of wine here and there, but I in no way feel like its a necessary part of my life. I do have a lot of people who enjoy the booze around my though. My hubs makes delicious cocktails and my dad has got the whole family learning more and more about our favorite wines. I have no plans to give up booze altogether, but I could definitely see it being awkward enjoying a meal with friends and family and being the one who turns it down. What’s really sad is that you DON’T overindulge, so a little wine or champagne here or there SHOULD be okay. It just shows what a strong person you are and that you have your priorities straight. You are putting your health first and I admire that!